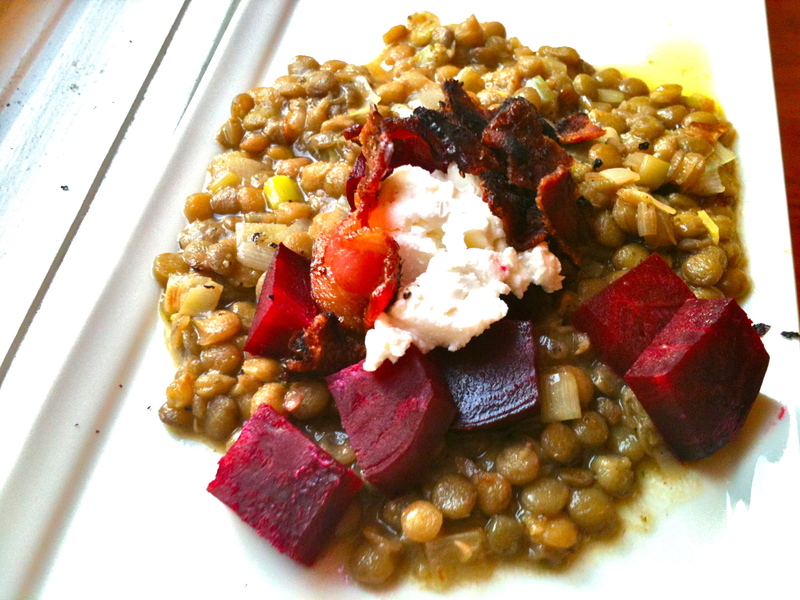 Warm Lentil Salad with Goat Cheese and Roasted Beets. The end of a bag of lentils sitting in my pantry, a great little beet stand at the farmers market, and a passionate and undying love of goat cheese contributed to my creation of this lentil salad. Goat cheese and lentils are fine and dandy, but I’m definitely not a beet lover. I do enjoy them from time to time, but I’m picky about how they’re prepared. Luckily, goat cheese is a beet’s best friend. Throw these two buddies over a well-dressed lentil salad and you’ve got yourself a dish that will make non-members of the beet chorus change their tune! Oh, and I forgot to mention, there’s bacon, too. Just in case you needed more convincing. First, get the beets a-roastin’. 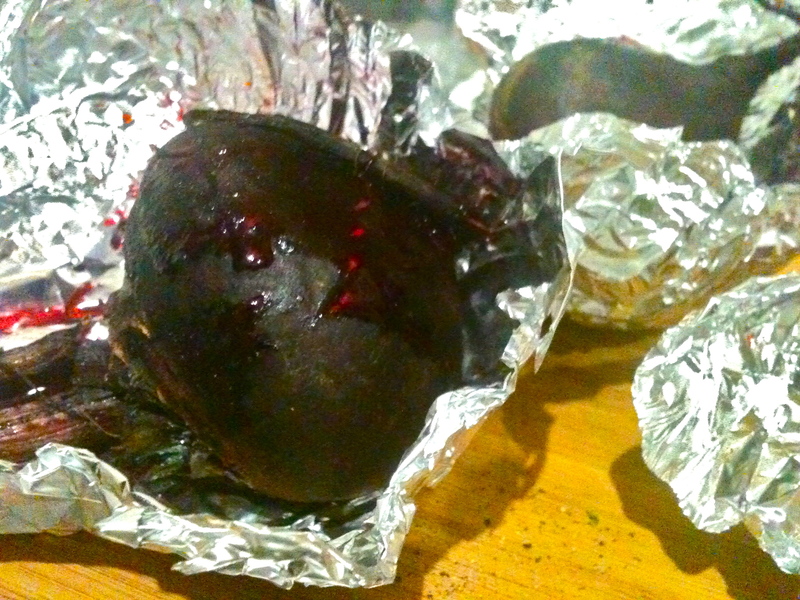 Preheat oven to 375 F. Rub the beets with a bit of olive oil and wrap them in foil. Set them on a pan and roast for about 45 minutes, until fork tender. 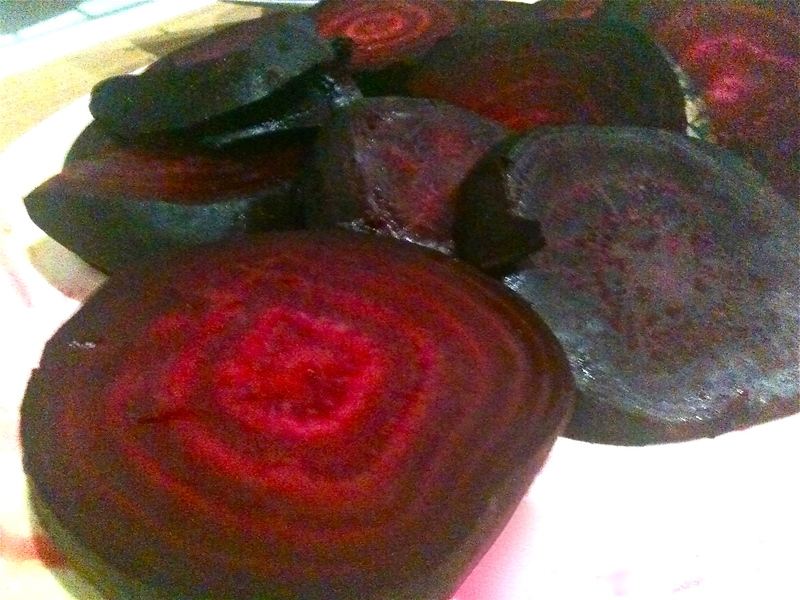 When the beets have cooled enough to touch, slice them. Next, the dressing. Whisk together 1/2 cup olive oil, vinegar, mustard, 1 tsp chopped thyme, honey, and salt and pepper. Let it sit a while so the flavors can marry. 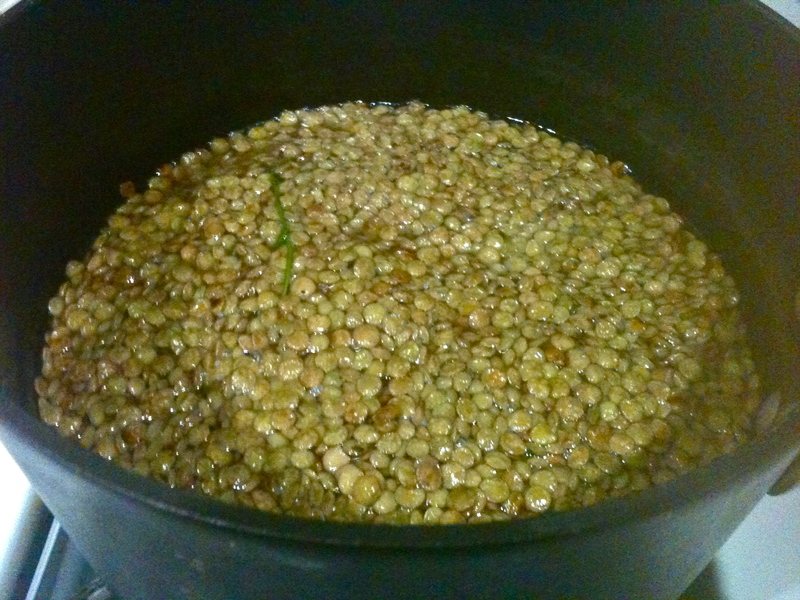 To prepare the lentils, bring stock, bay leaf, and sprigs of thyme and parsley to a boil. Stir in lentils, season with salt and pepper, and cook until tender, about 20 minutes. In a large frying pan, cook bacon until browned to your liking and remove from pan. Don’t drain off the grease. 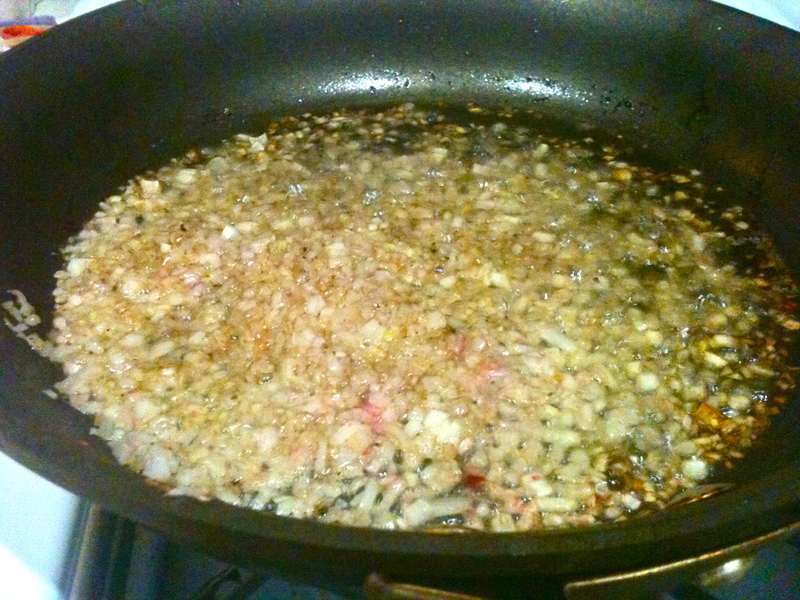 Turn off the heat and add shallots to pan with hot bacon grease. Cook for 1 minute, until they just start to brown. 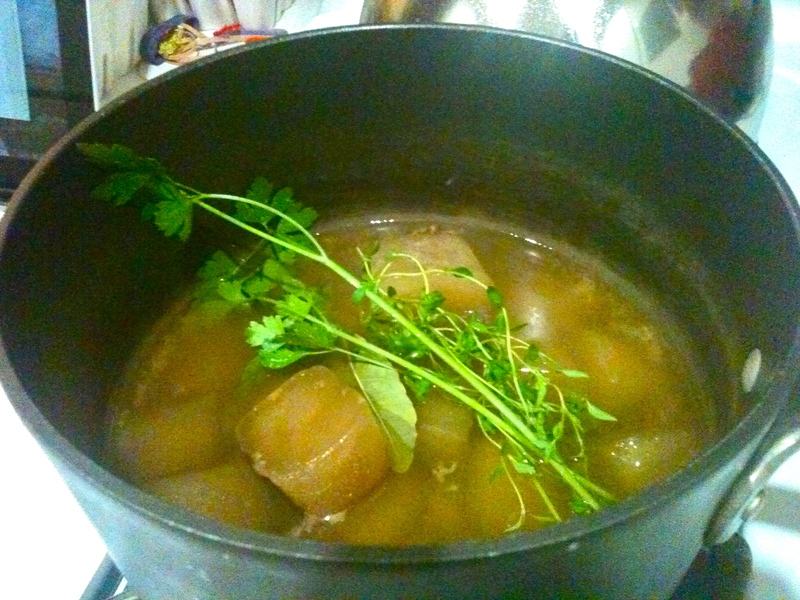 Drain lentils and remove bay leaf, parsley, and thyme, and add lentils to warm pan with the shallot. 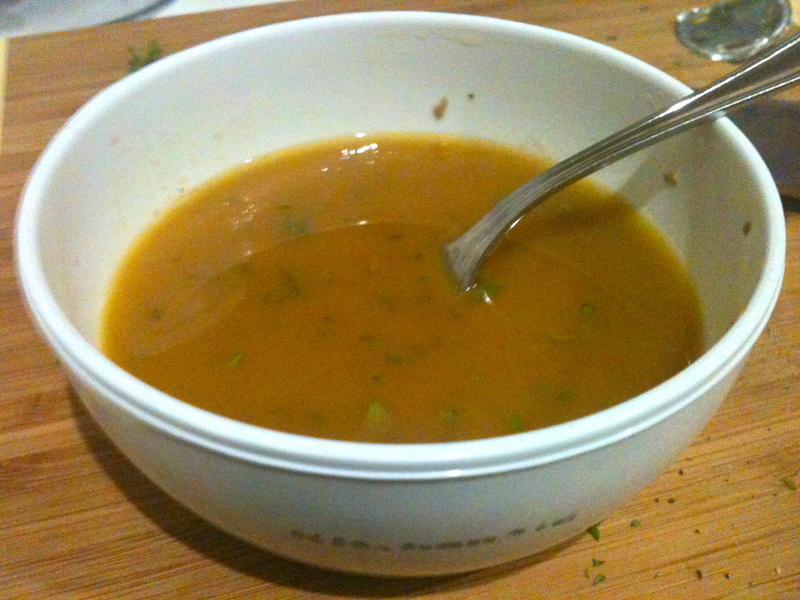 Stir in most of the dressing and then taste, and add more dressing if you need it. Garnish with bacon bits, crumbled goat cheese, and sliced beets. Dig in! Previous Herbed White Bean Dip. Next Best Ever Home Fries. Aww thanks Kels!! :) I would LOVE nothing more than to take advantage of all the amazing things you grow!!! and that cheese, it sounds like a dream. Next time you’re home, I’m booking a few hours of you, me, margie and cheryl to catch up—please let us know whenever you’re back!! Hello! I stumbled upon this site and deedicd to make this for dinner as I had a mountain of kale to use! I cheated and used chickpeas instead of kidney beans, added basil and coriander and extra garlic. Oh and I also added a capsicum chopped into chunky pieces (red bell pepper for you Americans) in place of the mushrooms.it turned out awesome! Looks beautiful and tastes even better I have packed a heap of it away in the freezer for future lunches and will definitely be making this again. Thanks!